I recently asked ‘What Makes A Good Franchise?‘ and it seems an answer has leapt into my lap and is now doing paddy-paws and requiring a chin stroke…. There’s a great new business opportunity on offer to cat lovers who want to start up their own franchise business this year. 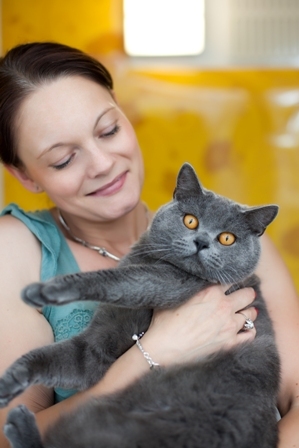 The Longcroft Luxury Cat Hotel www.longcroftcathotel.co.uk is the brilliant idea of Abi Purser, who opened the first hotel in Welwyn Garden City in 2010. Abi runs the hotel from her home (and garden), helped by husband Matt on the website side and their three children. It’s been such a runaway success that they have decided to branch out into launching the world’s first luxury boutique hotel group! It looks like an ideal opportunity for people who want to run their own sustainable and profitable business from home, which fits perfectly around any type of lifestyle or family commitments – and it clearly works well for Abi and Matt and their young family. 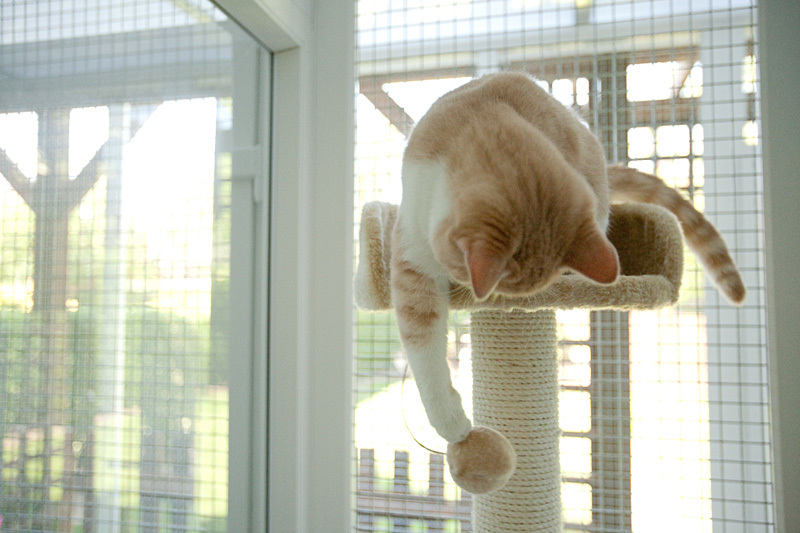 Every aspect of this boutique cat hotel venture has been tried and tested with meticulous attention to detail. 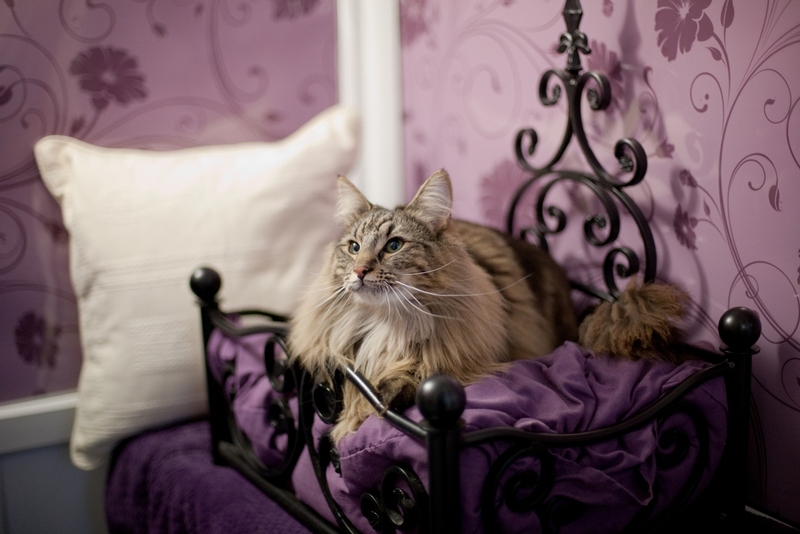 As you would expect at any 5 star hotel, everything from the wrought iron designer cat beds with soft pillows and individually decorated bedroom suites to gourmet menus served on bone china, has been designed around the feline guest’s wellbeing and their owner’s peace of mind. The modular hotel building has been road tested from planning application to final design and provides between six to nine suites, made from the highest quality materials to make sure that the 5 star guests are warm in the winter and cool in the summer, with top notch hygiene standards. It’s certainly a far cry from just a feeding a cleaning exercise and Abi is only looking for partners to join the Longcroft family who are prepared to run their hotel responsibly and with a proper understanding of animal welfare and wellbeing. Abi says that running a business from home and looking after cats is her dream job, and now it looks like she is literally selling her dream to other cat lovers! Check out their website www.longcroftcathotel.co.uk – there’s loads of information about the franchise opportunity as well as photos of some very pampered and happy looking guests. Or call Abi on 01707 832000 to find out more. You can follow them on twitter too @TheCatHotel. What Makes A Good Franchise? Do you still have your twitter account, I don’t see many tweets from you anymore? I’m still there, just didn’t have any internet for the whole of December! Just stumbled across this randomly so apologies in lateness of reply. I’ve actually left our cats with Abi at the Welwyn Longcroft and they come back contented and very happy. The cats get their own individual suites, they never mix with other cats at all! And you do truly get a 5star service. Would thoroughly recommend it to anyone who has shyed away from catteries in the past. Sounds wonderful! I’d love to run one if I ever have enough land.